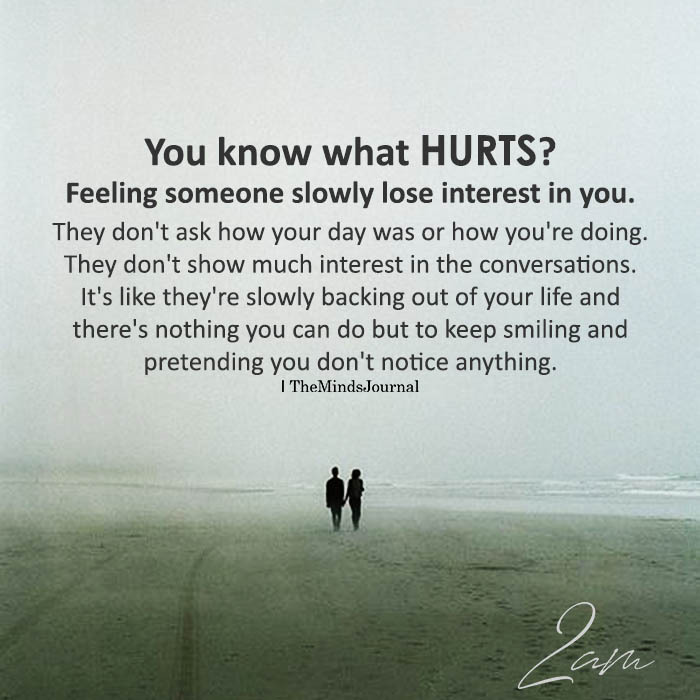 You know what hurts? Feeling someone slowly lose interest in you. They don’t ask how your day was or how you’re doing. They don’t show much interest in the conversations. It’s like they’re slowly backing out of your life and there’s nothing you can do but to keep smiling and pretending you don’t notice anything.